Cast Richard Armitage, Sarah Wayne Callies, Matt Walsh, Alycia Debnam Carey, Arlen Escarpeta, Max Deacon, Nathan Kress, Jeremy Sumpter, Kyle Davis, Jon Reep, producer Todd Garner and director Steven Quale were a few of the notables who attended the “Into The Storm” New York premiere. Though it was a hot sunny New York City evening, reporters, meteorologists and the cast of into the storm swept us away with the premiere of “Into The Storm.” The premiere took place at AMC Lincoln Square theatre where the cast engaged shared how excited they are for the film. “I’m pretty stunned and excited. This is a movie that’s been done for two years, so to actually see it on the big screen with an audience is exciting,” said Max Deacon one of the cast mates of the action/thriller film which tells the story of storm trackers, thrill-seekers, and every day townspeople who experience an unprecedented onslaught of tornadoes touching down in the town of Silverton. 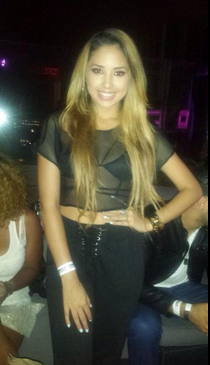 Singer Jasmine V hosted her own screening of the film on Tuesday evening. She performed her new song “That’s Me Right There” featuring Kendrick Lamar at the after-party at The Sky Room. The movie is set to hits theaters on Friday August 8, 2014.